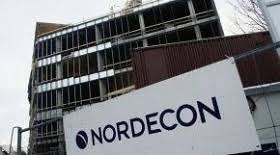 The revenue of the listed Estonian construction group Nordecon in the third quarter of this year decreased by 13.3% y-o-y to 61.9 mln euros and net profit dropped 25.9% to 2.7 mln euros, informed LETA/BNS. Gross profit in the nine months totaled 6.7 mln euros, compared with 6.8 mln euros in January-September 2017, and gross profitability in the first nine months of 2018 was 4%. "In an environment of continuously stiff competition, the group's gross margin for the first nine months remained basically at the same level as in the same period last year. However, the gross margin for the third quarter improved, rising to 5.6% from 5.1% in the third quarter of 2017. The gross margin of the infrastructure segment increased to 6.7% for the nine months and to 10.1% for the third quarter, compared to 3.9% for the nine months and 6.5% for the third quarter in 2017," the management board said. "Among other factors, the rise in profitability is attributable to intragroup restructuring undertaken to increase operating efficiency and provide better-quality service to customers. However, we would like to see an improvement in the profitability of the buildings segment whose gross margin dropped to 3.4% for the nine months and to 3.7% for the third quarter, from 4.3% for the nine months and 4.5% for the third quarter in 2017. The profitability of the buildings segment, particularly in the first half of 2018, was influenced by the fact that a significant share of the group's revenue results from the construction of apartment buildings," the board said. It said the margins of long-term contracts secured in 2016 and 2017 were undermined in the performance phase by a continuous rise in subcontracting charges, particularly labor costs. "Profitability was also lowered by the conclusion of an insufficient volume of new contracts in Sweden, which caused uncovered fixed costs. We rigorously monitor the proportions of different segments in the group's portfolio in order to better manage the risks resulting from changes in input prices," the remarks added to the third-quarter results read. The group's administrative expenses for the first nine months of 2018 amounted to almost 5 mln euros. Compared to the same period last year, administrative expenses decreased by around 7.4% and the ratio of administrative expenses to revenue, 12 months rolling, was 2.9%, compared with 3.0% in the first nine months of 2017. Financial income and costs for the period continued to be influenced by exchange rate fluctuations in foreign markets. Although the Ukrainian hryvnia strengthened slightly against the euro and the group recognized an exchange gain of 29,000 euros, compared with an exchange loss of 247,000 euros in the nine months of 2017, on the translation of a loan provided to the Ukrainian subsidiary in euros. The Swedish krona weakened against the euro by around 5% and the group recognized an exchange loss of 124,000 on the translation of a loan provided to the Swedish subsidiary in euros.